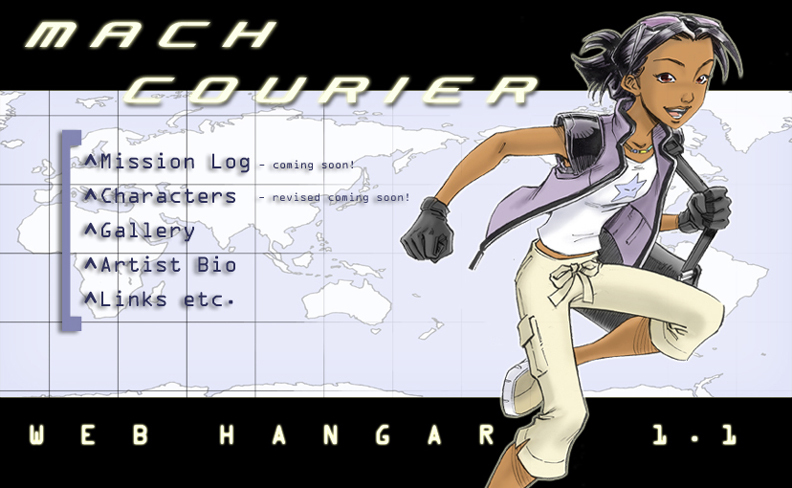 Welcome to the world of Mach Courier...I am finally online...Woohoo! This is a personal project I have been tinkering around with. Mach Courier chronicles the adventures of Kaia Tamikeia and her cohorts. Whether Kaia travels around the world to help the oppressed and needy, to deliver vital cargo, or to carry out covert assignments, action-packed mayhem is always close at hand! A more detailed character profile section will be put up soon. Once I come up with plot material (God knows when on earth that will be! ), story pages will be put up under the Mission Log section. In the meantime, enjoy your visit. I am more than happy to receive constructive feedback and comments.